Included in Rolling Stone's "50 Top Albums of the Year 2007". "[H]e drives his messages home with the whisper-to-a-scream vocal melodrama and the most chaotically catchy tunes he and his arsenal of machines can generate." 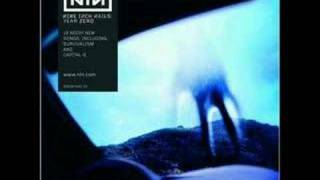 5 stars out of 5 -- "For YEAR ZERO, Nine Inch Nails chairman Trent Reznor sets his machinery on 'kill' and points it toward authority and herd mentality, dicing up guitars and laptops synths like an Enron paper trail." Ranked #8 in Kerrang's "The Top 20 Albums Of 2007" -- "[A] spectacular, chilling record..."
Personnel: Matt Demeritt (tenor saxophone); Geoffrey Gallegos (baritone saxophone); Elizabeth Lea (trombone); Josh Freese (drums); Saul Williams (background vocals). Recording information: Capitol Studios, Hollywood, CA. On his 2007 full-length studio follow-up to WITH TEETH, Nine Inch Nails mastermind Trent Reznor steps away from the relatively straight-ahead rock aesthetic of that record, opting instead for an intentionally abrasive sound lined with sharp shards of noise and static. Tied together by an enigmatic, X-FILES-like concept involving an apocalyptic scenario, YEAR ZERO is marked by tell-tale tracks such as "Survivalism," a fierce number that harkens back to THE DOWNWARD SPIRAL, and "In This Twilight," a bleak, distortion-filled song. 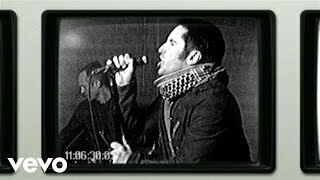 Reportedly influenced by the Bomb Squad's spare, hard-hitting production on vintage Public Enemy releases (a point driven home by the stark, stuttering "My Violent Heart"), ZERO also reveals that Reznor picked up a few experimental tricks from tour-mates TV on the Radio, as best exemplified by the guitar squalls of the aforementioned "Survivalism." Less personal and more cinematic than preceding outings, YEAR ZERO is arguably NIN's least-accessible album, and proves that Reznor hasn't abandoned his SPIRAL-era post as a sonic agitator who has infiltrated the mainstream.